During a recent TU meeting I was having a conversation with a recently retired local WDFW fish biologist. He said to me “You know Jack, we have created quite a large business fighting for Salmon.” Later I reflected on what he said and thought of all the fish conservation organizations in the NW and the number of people connected with them. 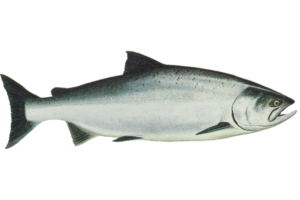 So, I started looking into the different salmon and steelhead conservation players and thought that I would pass on some of what I learned. The Conservation Angler – The Conservation Angler advocates for wild fisheries, which includes steelhead, salmon, trout and char, throughout the Pacific Range. They see themselves as a watch dog organization that holds public agencies and nations accountable for protecting wild fish, by use of administrative, political and legal means. CCA also accuses them as being an extremist organization. One of their major initiatives is hatchery reform. They have a staff of 5 employees which include Bill McMillan and Bill Bakke. Their home is located in Edmonds and go to www.theconservationangler.com/ for addition information on them. The above list contains the major Northwest Wild Fish advocacy organizations. In addition to that we have other groups that specialize in recreation fisheries. The big gun in this department is the CCA which has 18 chapters in Washington and 12 in Oregon. Their Washington home is Vancouver and their Oregon home is in Portland. The Oregon chapter has a staff of 4 of which one is a lobbyist. Washington CCA website doesn’t go into their staff, but I know they have had in the past a director, an office manager and a paid lobbyist. In addition, there are many smaller local organizations that deal with Salmon & Steelhead such as the NW Steelheaders, Skeena Wild Conservancy Trust, Friends of the East Fork, Wild Fish Rescue, Snake River Waterkeeper, Trout Unlimited, Idaho Rivers United and Save Our Wild Salmon to name just a few. And the list goes on and on.